This past month I’ve been sharing a lot about creating a Memorable Marriage and today’s post marks the end of this series. I don’t know about you but I have thoroughly enjoyed learning and sharing in this series and growing in the love of my husband along the way. One of the things husbands need from their wives more than any other is RESPECT. As such, today’s post is kind of a summation of everything we’ve been talking about over the last month. How do we show respect to our husbands? Here are a few ways you may want to try…99 to be exact. That said, as you venture through some of these ideas, keep in mind that all husbands are not made the same. Some may appreciate you ironing their clothes for them while others don’t trust anyone besides themselves to do it just right. You know your husband best so choose wisely. Above all, respect is found in the attitude with which you relate to your husband. Display your words and actions out of love and you are well on your way to giving your husband what he want’s most–RESPECT. Stop what you are doing and look at him when he talks. Refrain from interrupting him when he’s talking. Pray over him when he is going through some tough decisions or stressful situations. Tell him something you admire about him. Ask him about his day. Talk positively about him to others. Thank him for something he’s done. Give him a space of his own IN the house. Dress in a way that makes him feel he’s worth it. Let him pack the car for vacation. Stop what you are doing and welcome him home with a kiss. Give him a kiss as he walks out the door in the morning. Get his input on big decisions. Let him know you like your life with him. Encourage him in his line of work. Avoid the use of sarcasm when speaking to him. Let him know what you like most in bed. Write him a love note. Avoid criticizing him…especially in front of others. Respond to his thoughts and advice with enthusiasm. Respect his likes and dislikes. Refrain from comparing him to other men. Kindly try to understand his reasons, even when you don’t agree. Give him space and time to spend on his hobbies. Focus on what he’s doing right. Be happy and positive when he is home. 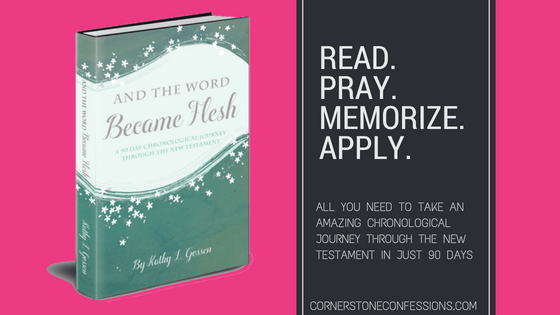 Speak honorably about him and to him in front of the kids. Refrain from placing the blame on him when something goes wrong. Respect his stuff; ask before moving or throwing away something that is his. Work to keep yourself in shape and attractive. Show an interest in his friends. Buy his favorite brand of personal care products. Let him open his own mail. Laugh at his jokes…or at least smile. Give him advance warning of family activities, schedules, and events. Show an interest in topics, hobbies, or occupations he enjoys. Carve out time to spend with him apart from the children. Give him time to unwind after work before bombarding him with home life. Talk together about your family’s goals and how you can achieve them together. Let him do his “to-do list” in his own time…even if his timing is not your timing. Defend him if others speak disrespectfully about him. Send him an encouraging email or text. Surprise him with a gift of something he’s wanted for some time. Meet him at his work for lunch. Meet his co-workers and speak kindly of both him and them. Reserve some energy for him at the end of the day. Help him to lead your family spiritually by providing him with the resources he needs to encourage the family in the Lord. Get up when he gets up. Go to bed when he goes to bed. Be kind and thoughtful to his parents, siblings, and relatives. Refrain from belittling his intelligence. Sit with him while he watches one of HIS favorite TV shows. Remember that your personal actions reflect on him even when you are apart; don’t do anything that would embarrass him. Be patient with him when he makes mistakes. Thank him for providing for you and your family. Tell him what makes you proud to be with him. Keep your expectations of him reasonable AND realistic. Refrain from talking down to him. Clean the house or at least the parts he notices most before he comes home. Wear his favorite outfit from you closet. Fix your hair the way he likes it best. Refrain from saying one of these NEVER statements. Find out your husband’s primary love language and then find a way to display love to him through that language. Ask him what he’d like to do…after supper…tonight…this weekend…whatever the situation…and then do your best to make sure he has the time to get it done. Thank God for him every time you think of him. Refrain from undermining his authority in front of the children. Tell things to your husband in a factual way (without the fluff or emotion). Respond to potentially argumentative conversations with self-control. Answer a perceived insult or accusation from your husband with one of these responses. Ask him these questions every day or least as often as possible. Wear clothing that flatters your body but does not flaunt it in front of other men. Do something your husband enjoys doing with you. Spend his hard-earned money wisely. Cling to God during the difficult times. Trust God to provide for your needs. 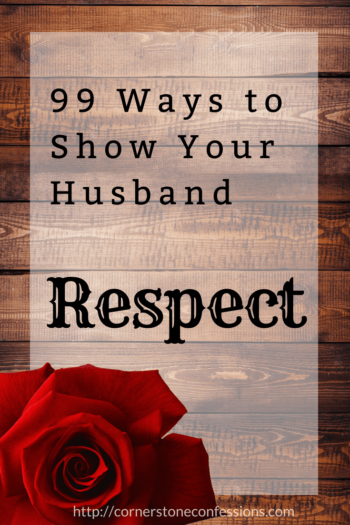 How do you show your husband respect? Have another way? Share with me on Facebook! As a mentor of mine shared with me today, respect is always an issue in marriage whether you’ve been marriage 1 year or 65 years. It’s always a process and always one we can work to improve. My Hubby Lovin’ Pinterest Board where you can find even more printable love note options as well as other amazing marriage tips. This post is the 12th of 12 in the 144 Plan to a Memorable Marriage. To learn more about the 144 Plan or catch up on a missed post, check out the complete 144 Plan Training Log. Hello, Kathy! I found your site through pinterest awhile ago and subscribed. It’s so refreshing to find someone so goal-oriented and encouraging in my inbox regularly. Always look forward to your posts! Thank you. Thank you for sharing these great marriage advice posts, we could all be reminded and given new ways how to respect out spouses. For me the biggest thing is not getting upset with the little things. Instead of getting mad when I’ve just clean the house and he comes home and puts his clothes everywhere I see it as an opportunity to serve him, I clean up and make sure he knows I love to do that for him so he can relax after working hard. It’s not worth fighting about. Wow Kelsey! Thank you for that encouragement. I appreciate it. Glad to know you are being ministered through the posts here on CC. What a blessing to hear it! You know what I really, really struggle with? Letting my husband drive! How silly is this? I just hate not being the one behind the wheel. It’s a total power thing, and I am fighting it, really I am. But gee whiz, is it hard for me! LOL. We all have our battles. My biggie is admitting my mistakes. I mean I don’t want to be wrong. I don’t like it. It makes me feel so small. I’m fighting that one all over too. 😉 I’ll be praying for you sister!